Tourists are drawn to explore new environments and peoples. What better way to interact with a locality than to seek out and roam its marketplaces? The nature of tourist shopping activity thus goes beyond mere functional purchasing into multi-sensory explorations of place and space. Awareness of the shifting nature of these attractions is crucial to retailers and place marketers, in this age of the internet, in order that the physical space of the market is also social and cultural space. 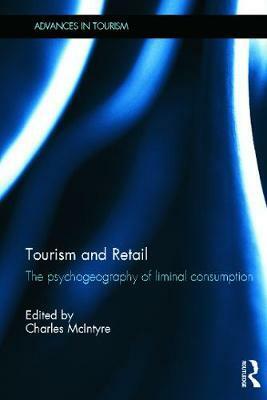 This book offers new perspectives on the intersection between tourism and retail research that is liminal to both fields yet central to the tourist experience, standing as an important and illuminating realm of consumer behaviour. It features a selection of multidisciplinary researchers' perspectives on tourist retail format and formation attractiveness for consumers, from the economist to the fashion retailer. By reviewing selected developments in space, place and behaviours within leisure, entertainment and recreational shopping, encompassing travel points, retail centres, sensory/festival marketplaces, leisure/cityscapes, department stores and fashion, the book offers thought-provoking insights into the past, present and future of tourist retail across a variety of global locations. Given the emphasis upon consumer experience in place and space study and the apparent importance of retail activities within the tourism sphere, this book will be valuable reading for all those interested in retail, tourism and wider socio-cultural leisure environments and behaviours. Charles McIntyre is Senior Lecturer of Retail and Head of the Retail Research group at the University of Bournemouth.